It was just a routine trip to the dance studio. Little did we know it would change our lives forever. It was April 25, 2017 that our lives took a turn for the unexpected. Even though it was over a year ago, we are still broken and in need of assistance - financially, spiritually (prayers) and emotionally. Nicole was taking our daughter Mercy to ballet. While she was waiting to turn left into the parking lot, a car (with the driver distracted, possibly texting on his phone) rammed into the back of the vehicle she was driving. As the distracted car was driving in excess of 50 miles an hour, her car was tossed into oncoming traffic, where she was hit a second time, this time as part of a head-on collision. The wreck was so bad that the car had to be cut open from the top in order to get Nicole and Mercy out. The lead officer on scene said it was the worst he had seen in 20 years and that it was a literal miracle that anyone survived. Mercy is actually the better off of the two; she sustained injuries, but will ultimately be okay. Nicole had 7 fractures to her spine, 8 broken ribs, her left arm and right leg are so severely shattered that they required immediate reconstructive surgery with a metal pin currently holding them in place. She has now advanced to a wheelchair. Due to her injuries she needs help to do even the most basic of tasks. We are tired, still hurting physically and trying to not to think about the hundreds of thousands of dollars in medical bills pilling up. If you feel lead to donate money to the medical bills fund that is such a help (one of our biggest) ... with repeated Dr. visits and rehab on the horizon the bills just keep coming. Again we humbly thank you!!!! You are helping us to survive this crazy season. T I R E D ... That is how we feel right now. Tired and worn. A "year in" and we can't imagine it going further. Nicole is still in pain daily and is "shot" after about an hour or two of activity. Her side hurts all day. Everyday. She smiles and tries not to burden us but we see it. We FINALLY meet with a doctor who says they can help in mid June. We can't stay here. Yeah we are needing to schedule a surgery ... but to be frank we have been putting it off as we know if will start us over at ground zero w Nicole being bed ridden once again for weeks if not months. She is scared and I’m at a loss. I know God is here but at times it hard to see him in the midst of this. And this not even going into the PTSD Nicole has suffered since the wreck. She is scared to drive and honestly rightfully so. We are hurting in so many ways. Graphic design clients (I am a freelancer) have been lost (around $1200 per month) due to my focus being on family and money is bleeding out of our account ... but we are alive and that is a base level gift that we do not take for granted. I know many of you have soooo kindly helped but while we know this is not true we now feel forgotten ... we are still here and it seems to be getting worse in some ways. We are sorry to be a burden and hate asking for help. That being said, PRAYER and financial donations are the most needed things as money is slim due to all of this and the practical strain ... not to mention an impending multi thousand septic tank repair that is still looming. By multi thousand I mean 18k. Thank you for your prayers and for your help. We need em. It's how we are staying afloat during this cruddy season. 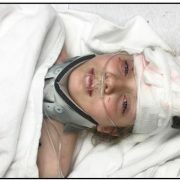 Nicole in hospital after auto accident that threw their lives into chaos.